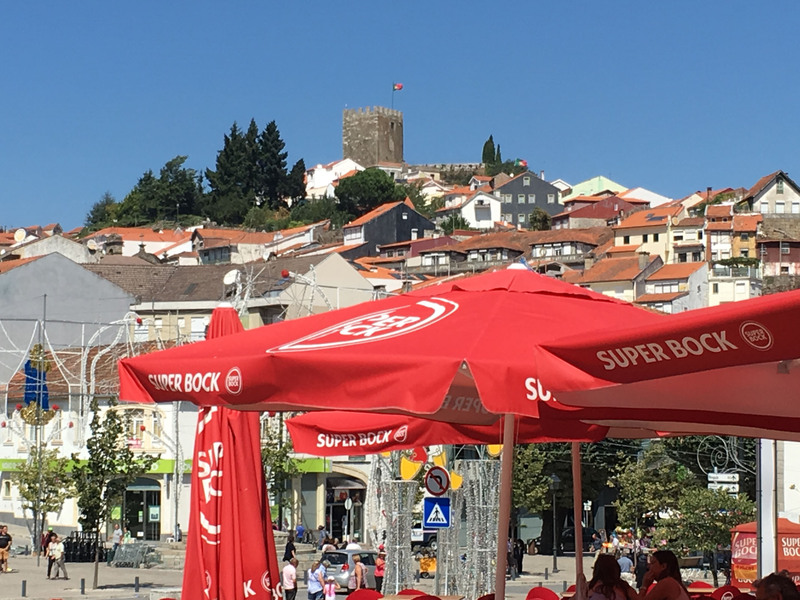 We love Portugal! 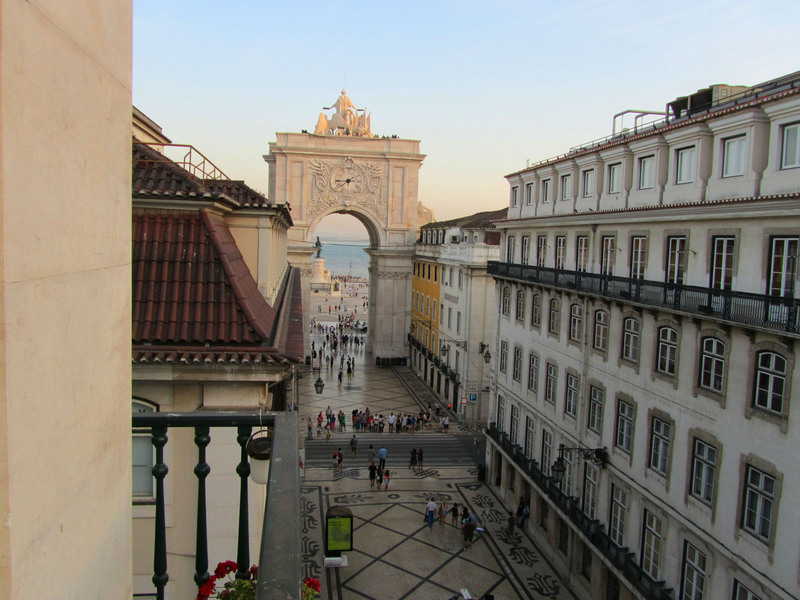 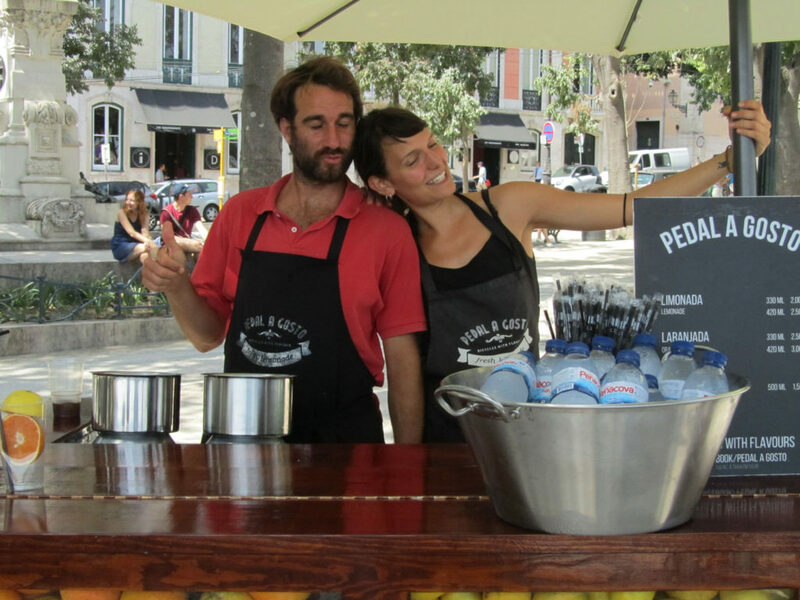 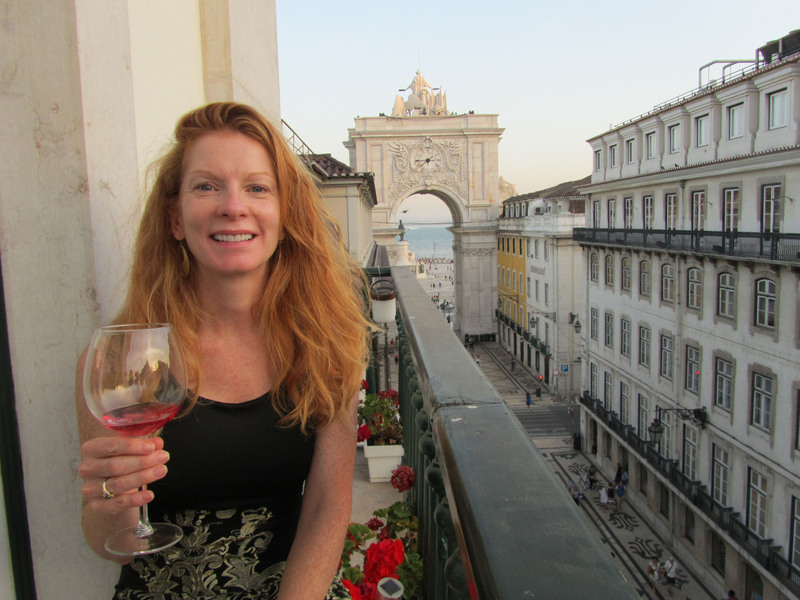 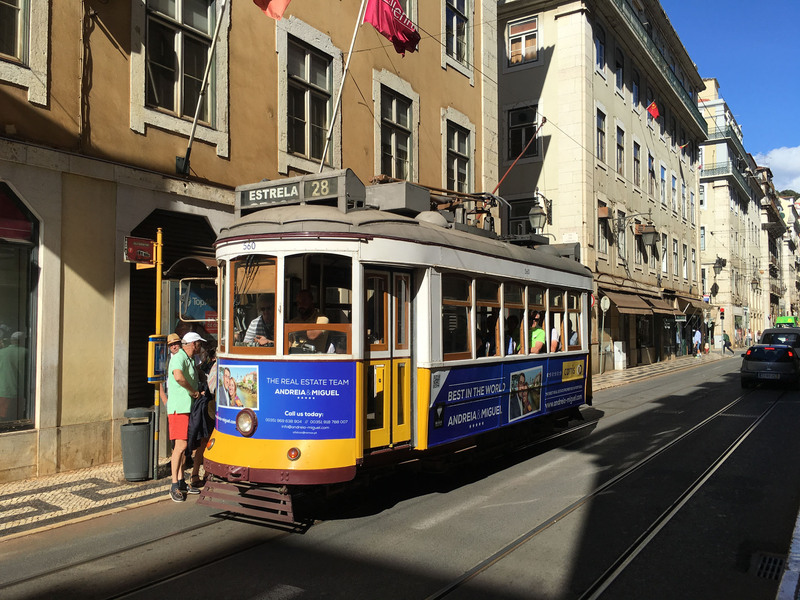 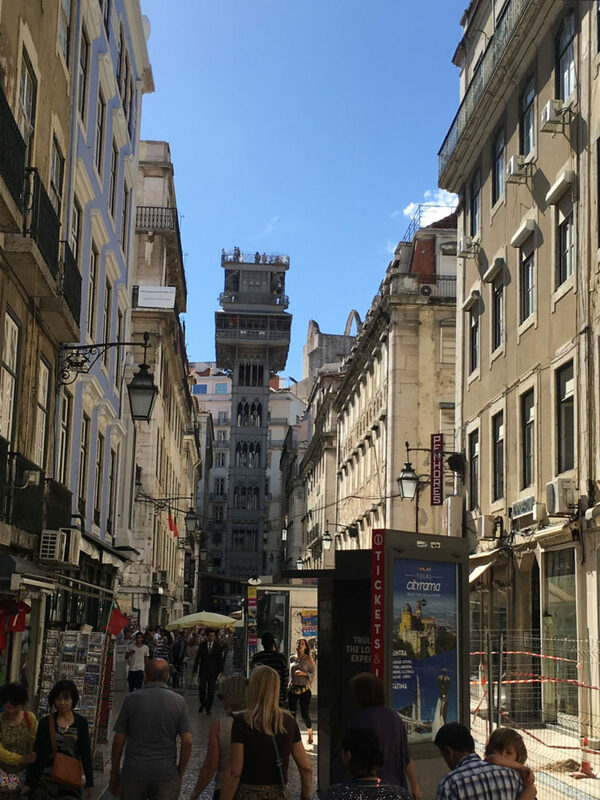 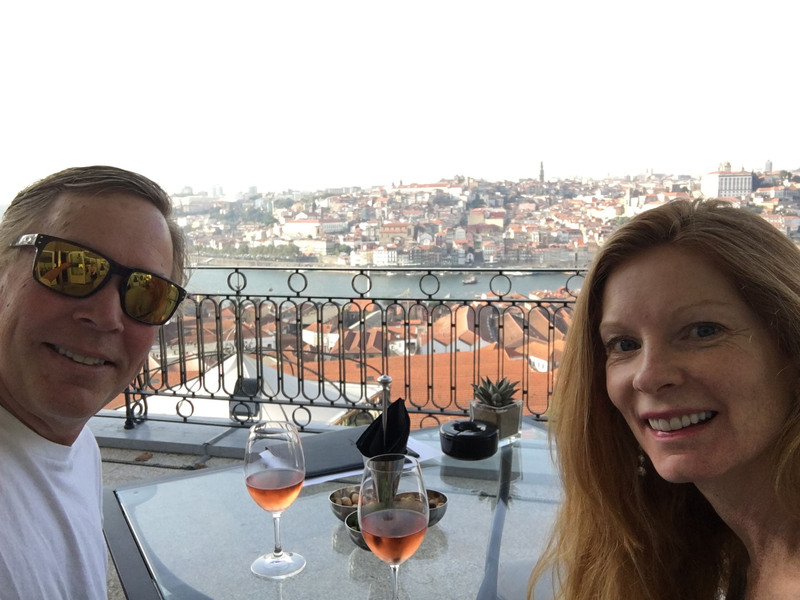 The scenery, the people, the history, the food, the wine, the value for your dollar… Lisbon is a fascintaing hilly city with so much lore and legend. Porto is home to Portugal’s world-famous port wine. 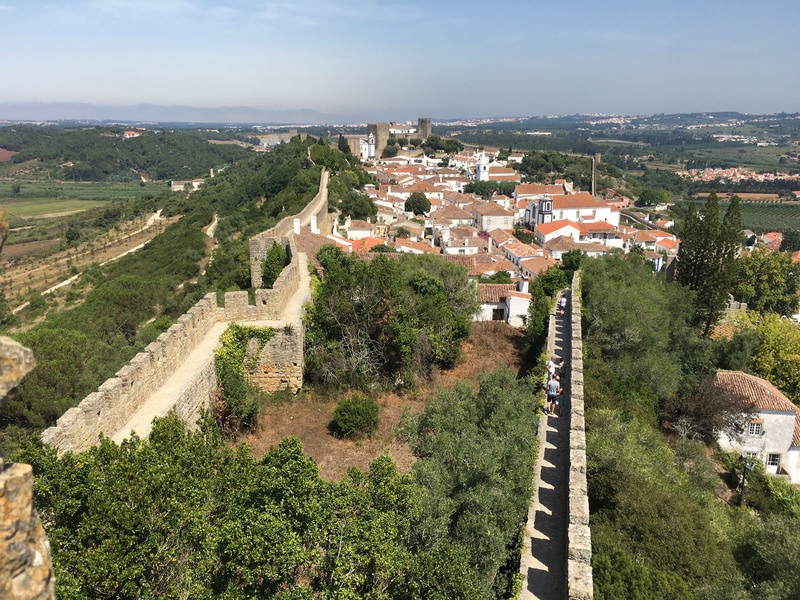 Medieval villages are home to incredible castles, palaces and churches, many made of stone like the Schiest villages near the Spanish border. 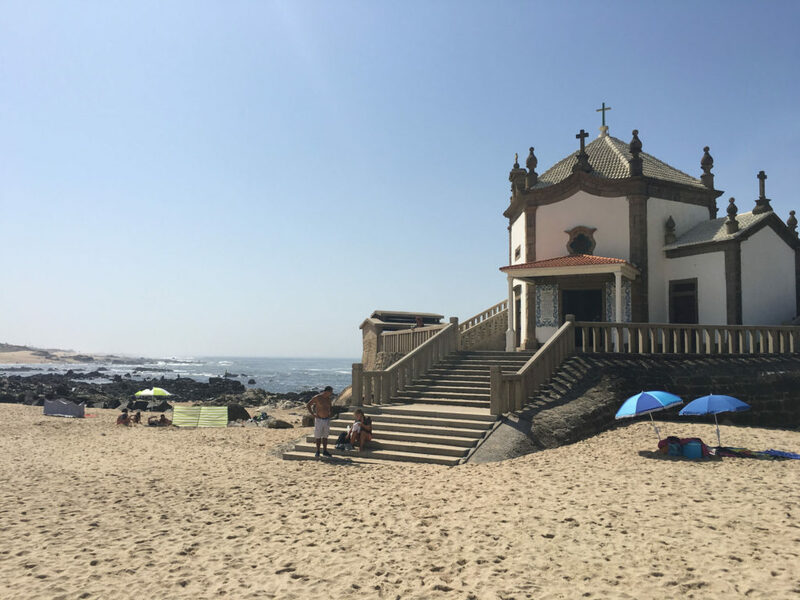 The south of Portugal – the Algarve, and the west coast are loaded with beautiful beaches. The Douro River Valley is the best of Portugal – its the Napa Valley, Sonoma, Burgundy or Loire Valley, arguably better, and surely less expensive! 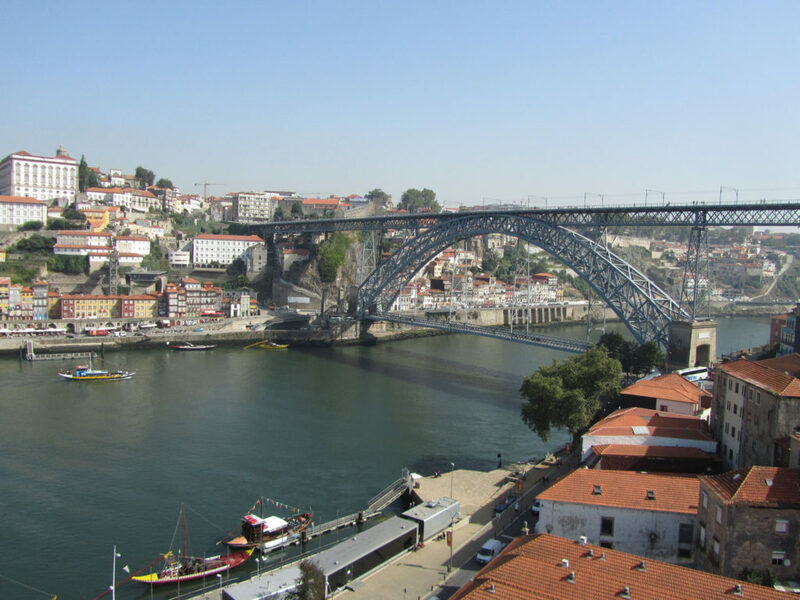 This micro-climate up river from the charming city of Porto offers perfect growing conditions for Portuguese white and red wines, plus the unique Port wine in tawny, ruby and vintage. 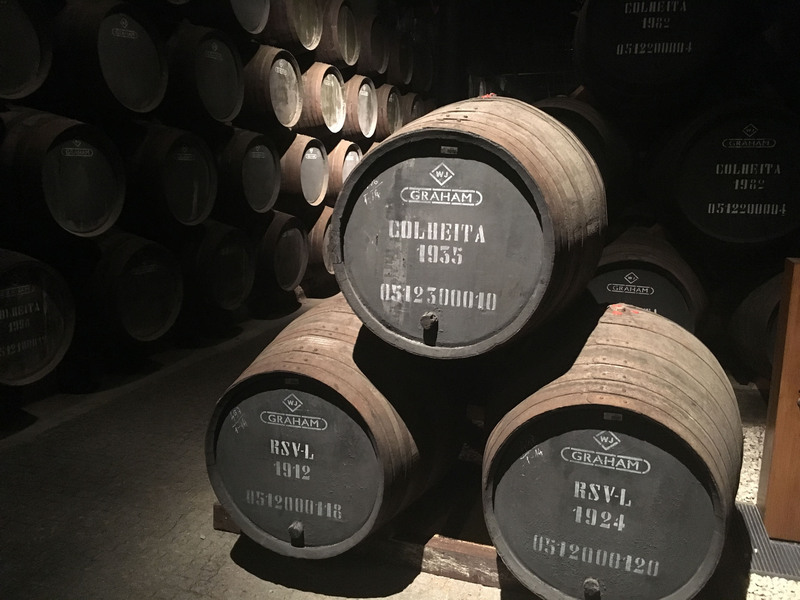 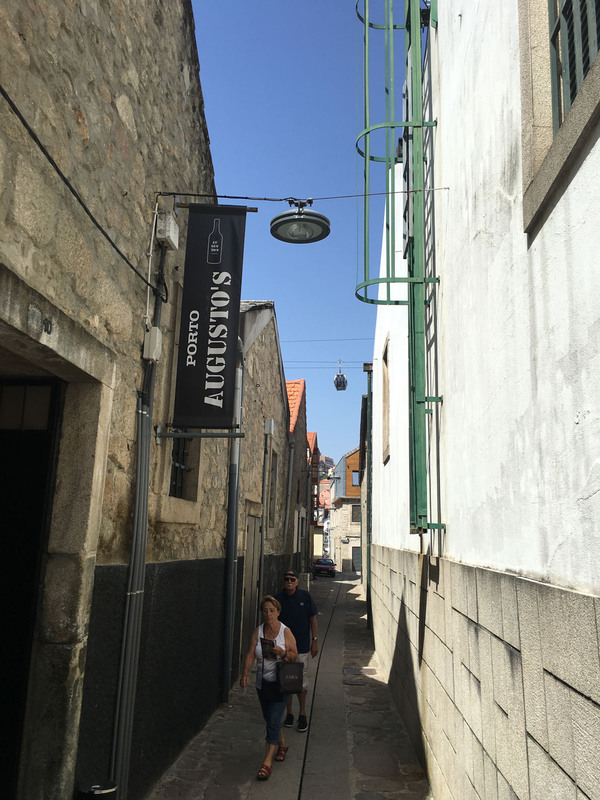 Porto is the gateway to Port tasting… this cool waterfront city is loaded with lodges- tastimg rooms from Sandeman to smaller exclusive batch brads. 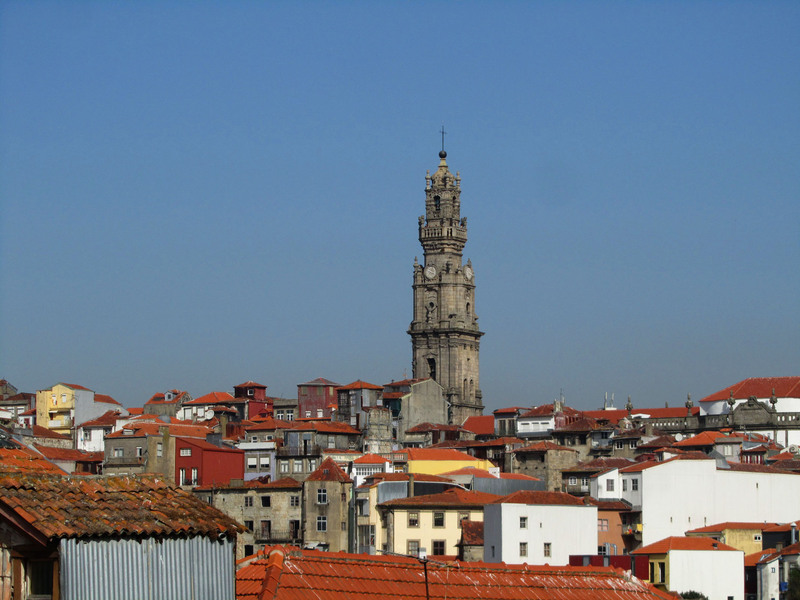 Spend a day or two touring the historic hapenning city of Porto before you head up the Douro River. 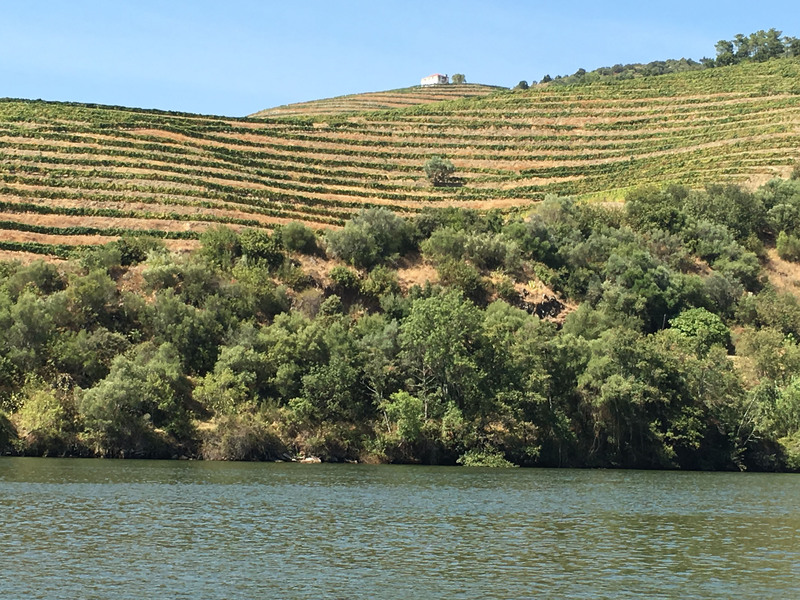 Douro River scenery, the steep lush vineyards clinging to schist (stone) hillsides above the grand “river of gold,” is magical. 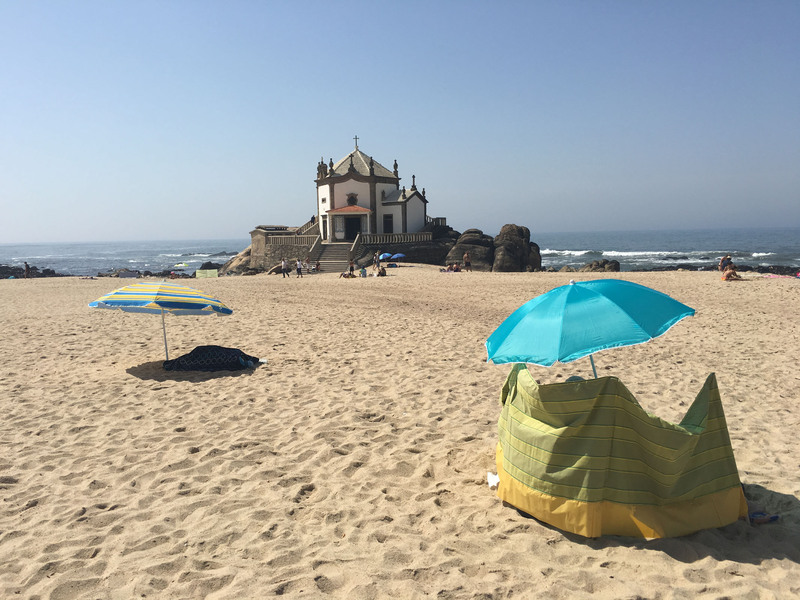 Vineyards and olives grow vertically and on terraces starting in Mesao Frio about 50 miles east of Porto. 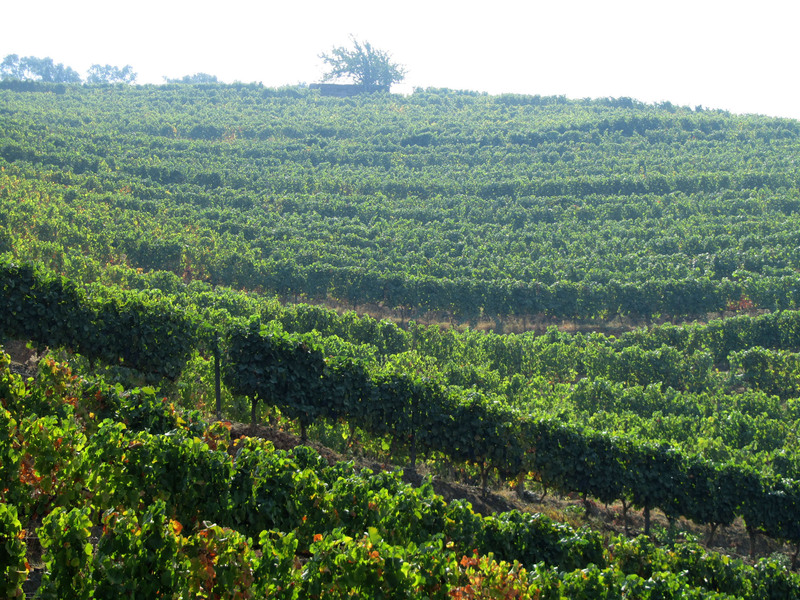 350 miles of the 500 mile Douro is in Portugal which emanates in Spain. 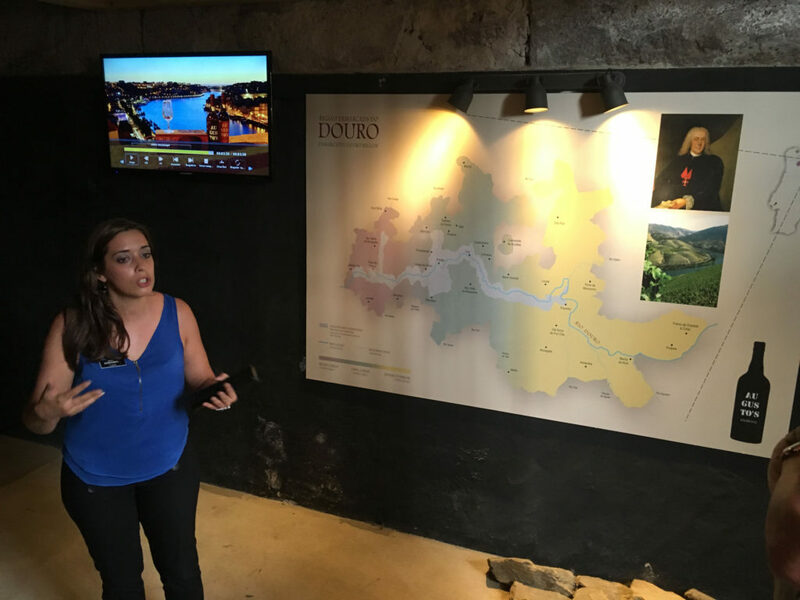 The Douro River Valley has port lodges and “Quintas” around every bend as you drive the narrow precipitous roads, snaking along the bountiful vine covered hills, with the river ribboning below as your guide. 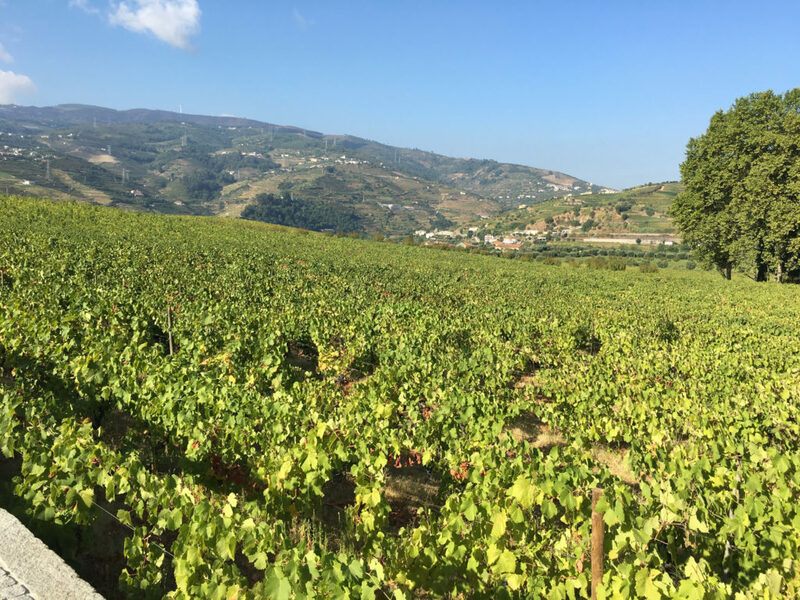 Sweet port wines came from British tastes, and the hard work of Portugese locals for centuries on these terraced vineyards. 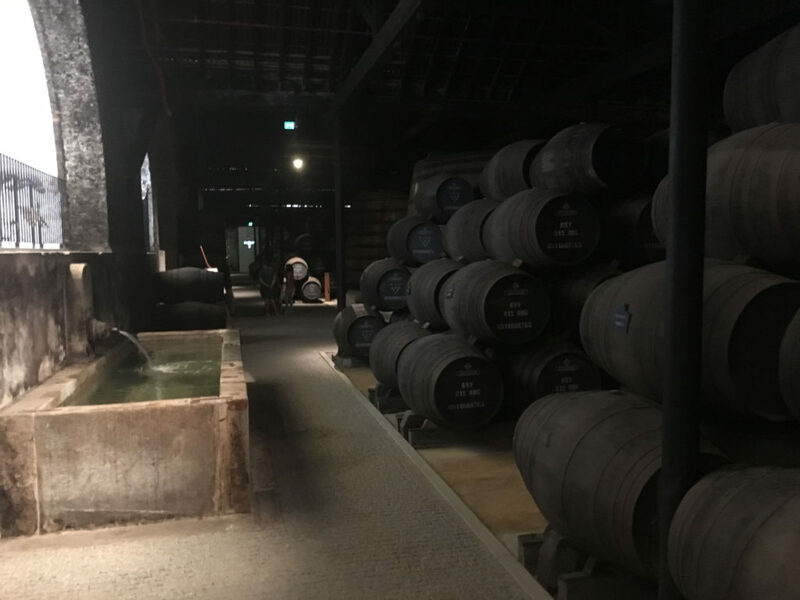 Port wine is unique the world over and trademarked. 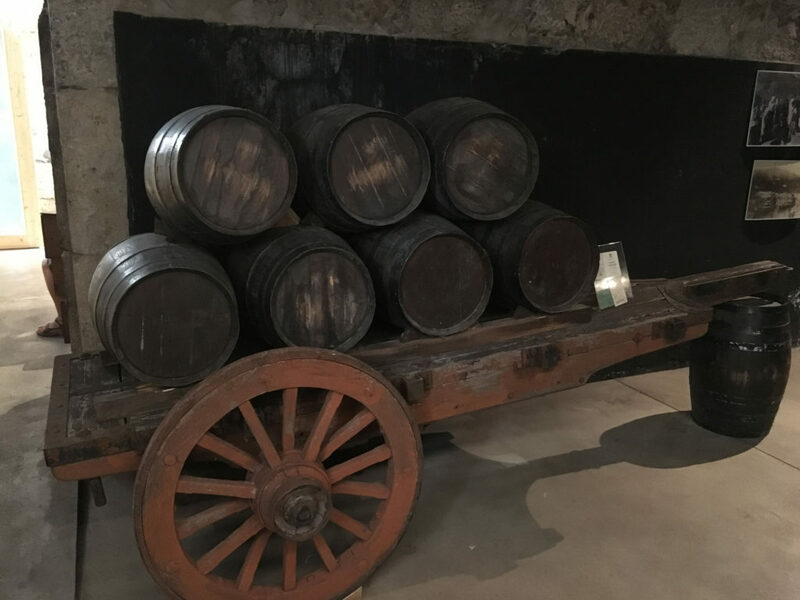 In 1756, Marquis de Pombal declared Port wines as exclusively from this region, much like Champagne is only from Reims France. 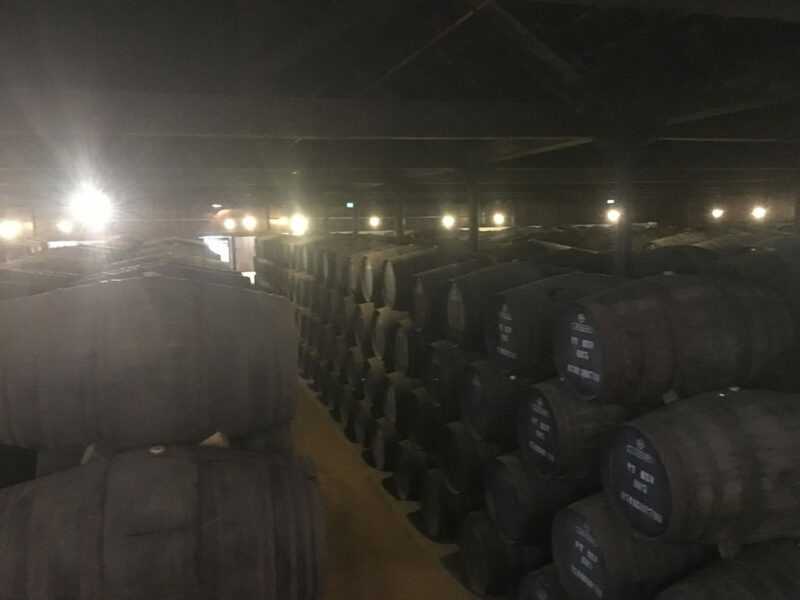 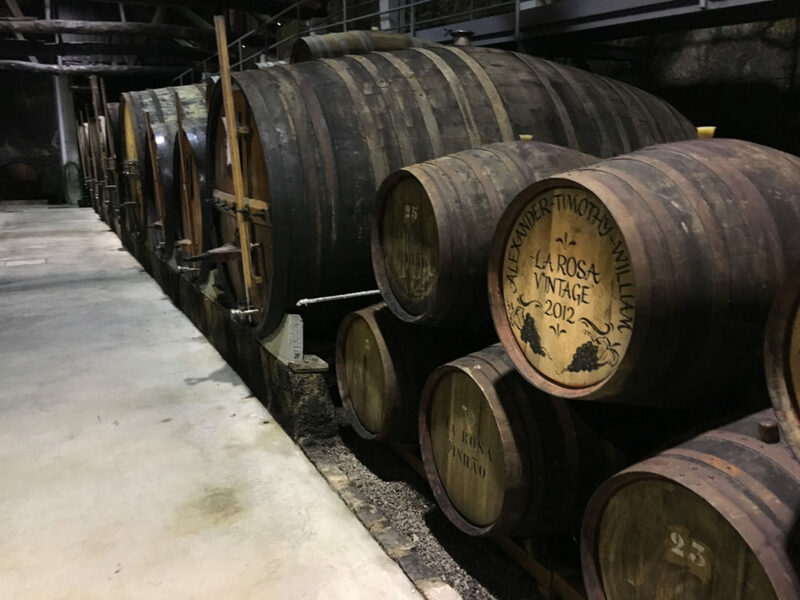 Similar to sherry in Spain perhaps – port wine production is specialized, from regional grapes, fortified by brandy and delicious … especially with native cheese and chocolate. 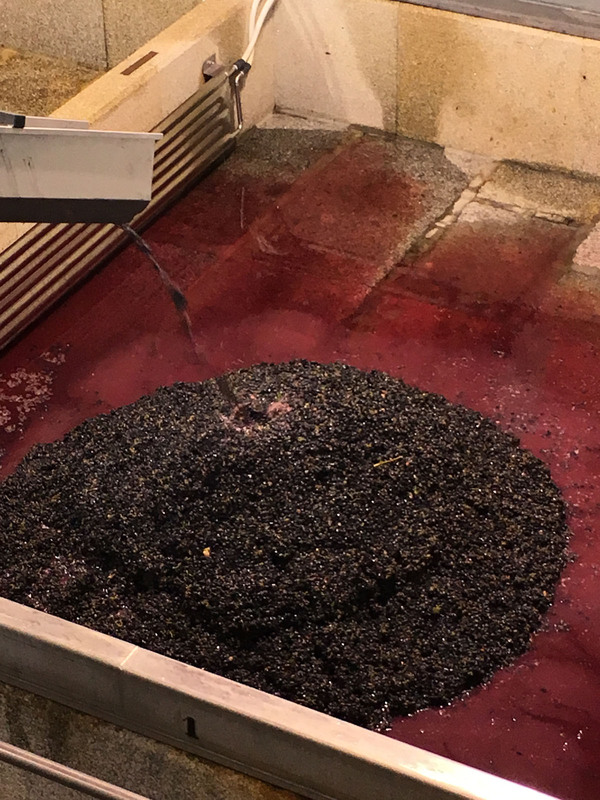 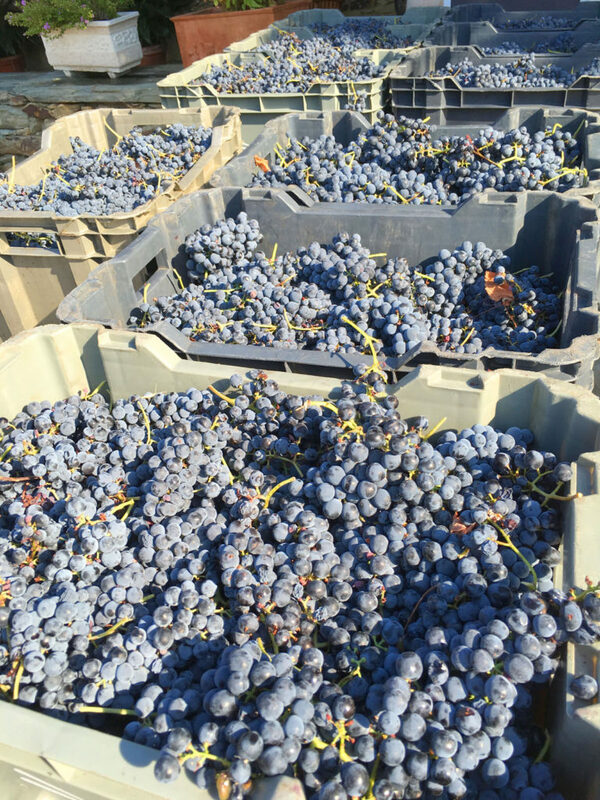 Visit Douro during the harvest, go mid-September, you may be invited to help with the crush, many of the Portugese wine makers still stomp the grapes the old fashioned way – with their feet, in the evening after all day picking in the vineyards. 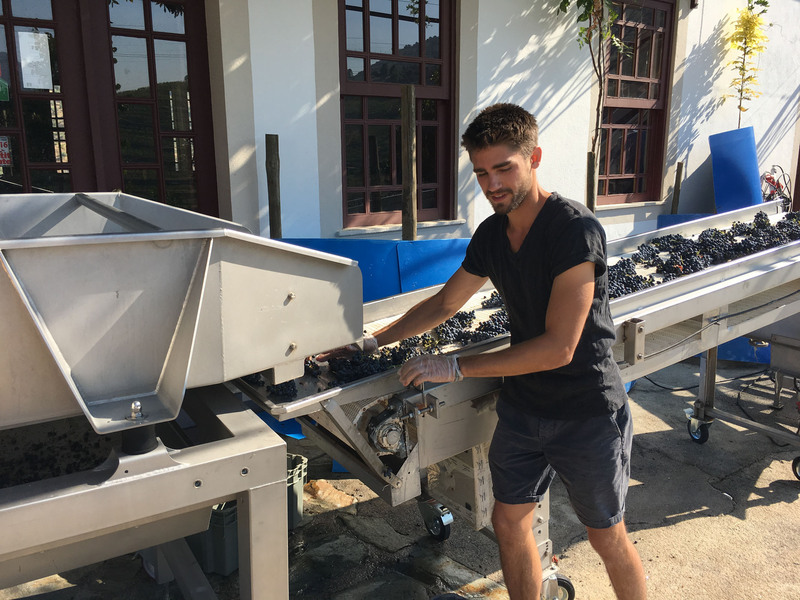 The traditional grape stomping includes music, drinking and three hours of stepping on grapes by foot, with arms linked to your fellow stompers. 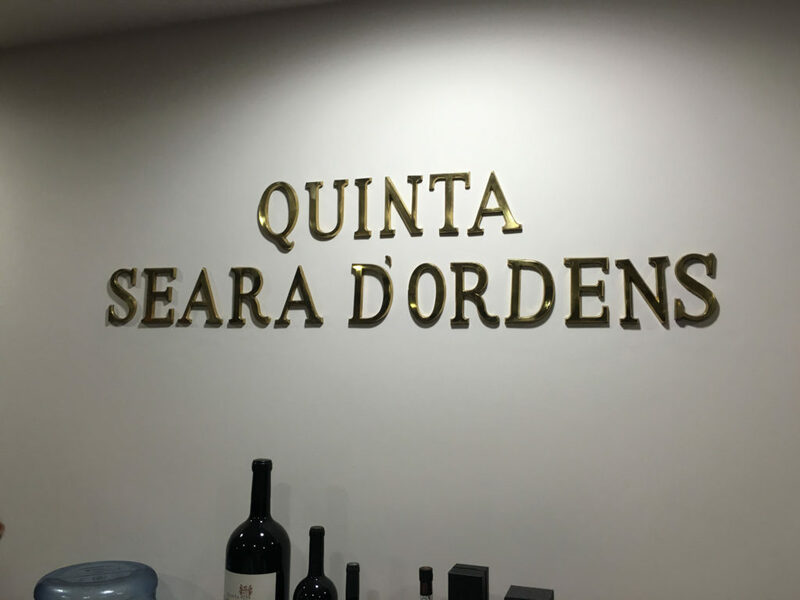 Portugal wineries are in easy reach, on the early south side of the river are the elegant Quinta da Pacheca – in the shadows of the audacious Sandeman statue. 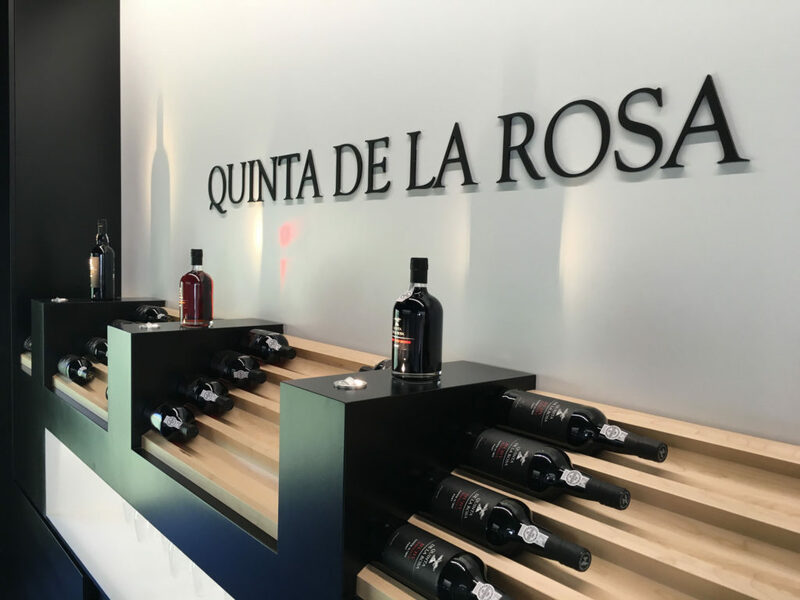 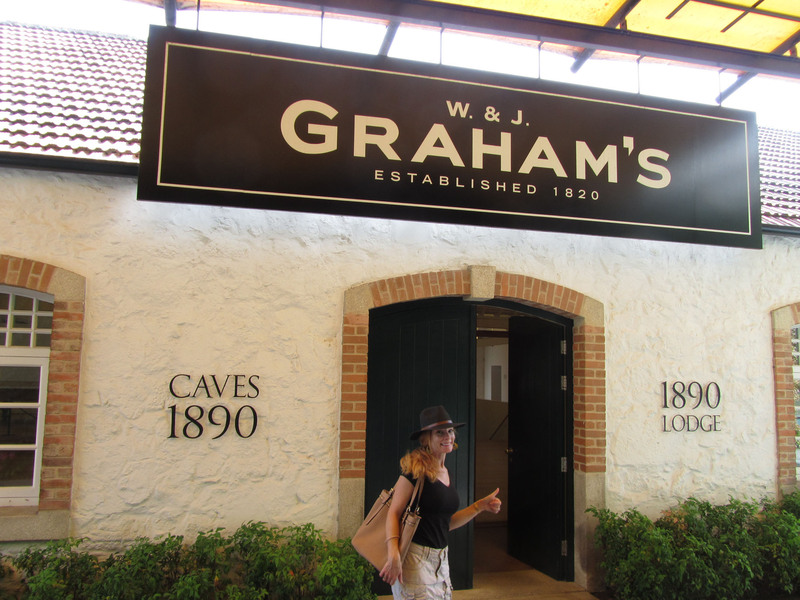 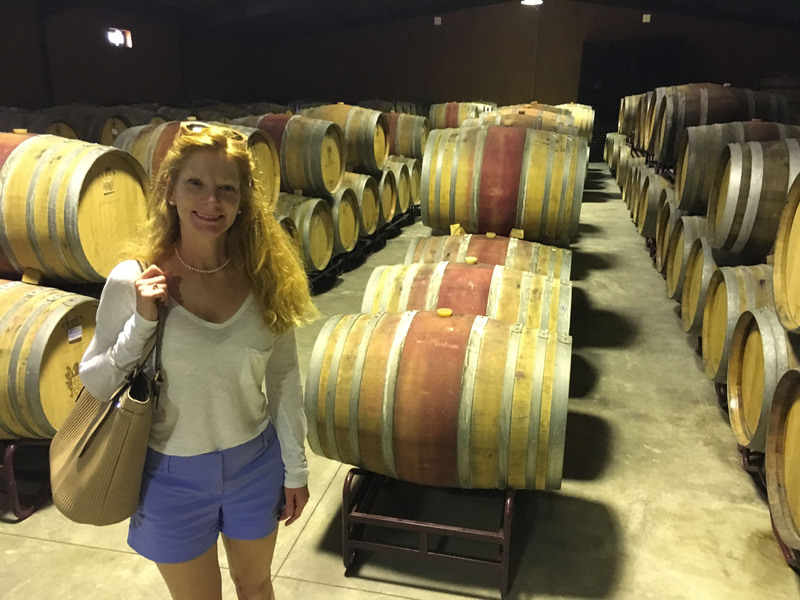 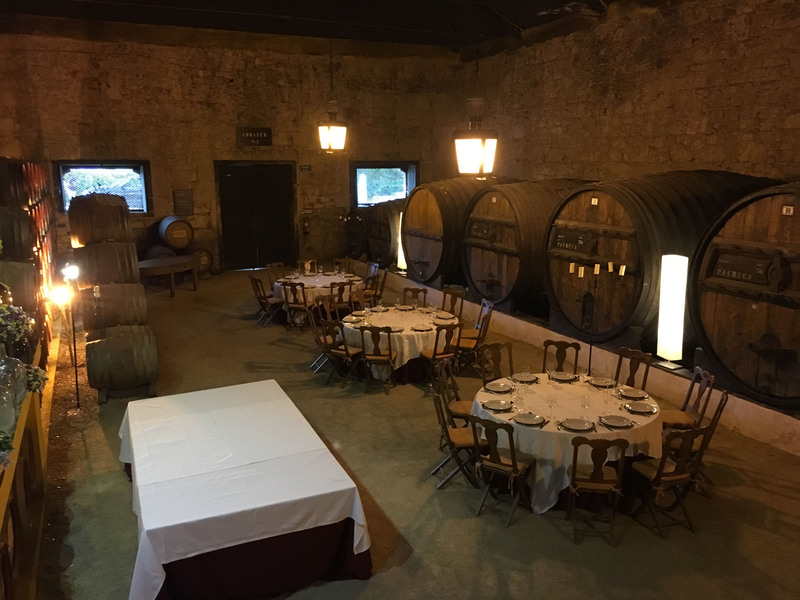 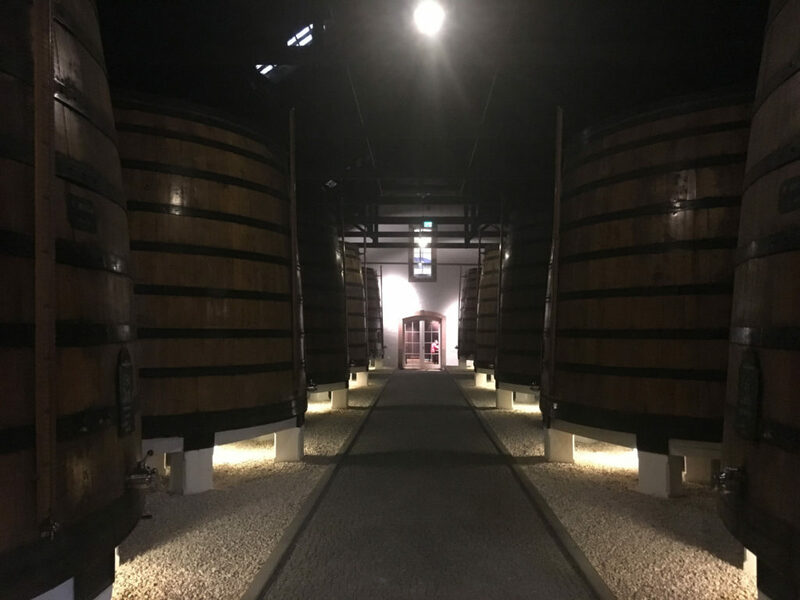 Also make a stop, tour and taste at the delicious Quinta Seara D’Ordes – a lovely family-owned winery – just beware of the dogs when you arrive. 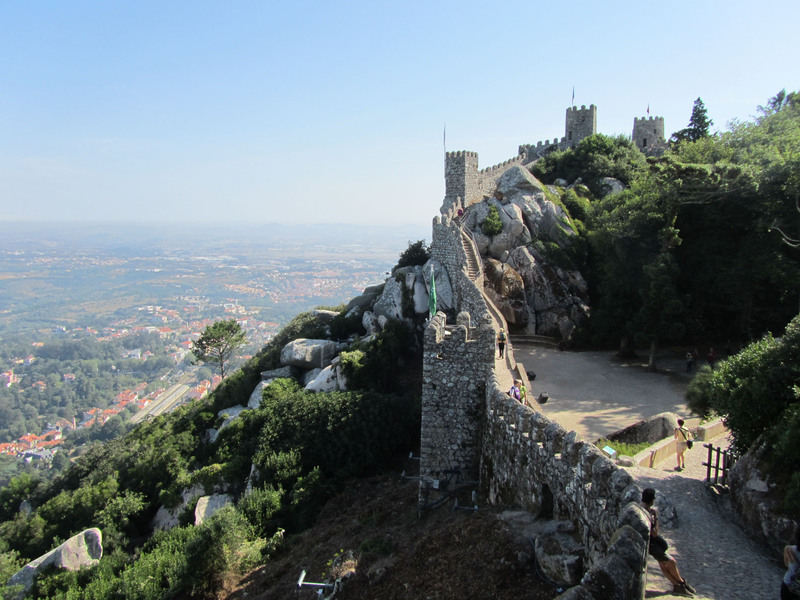 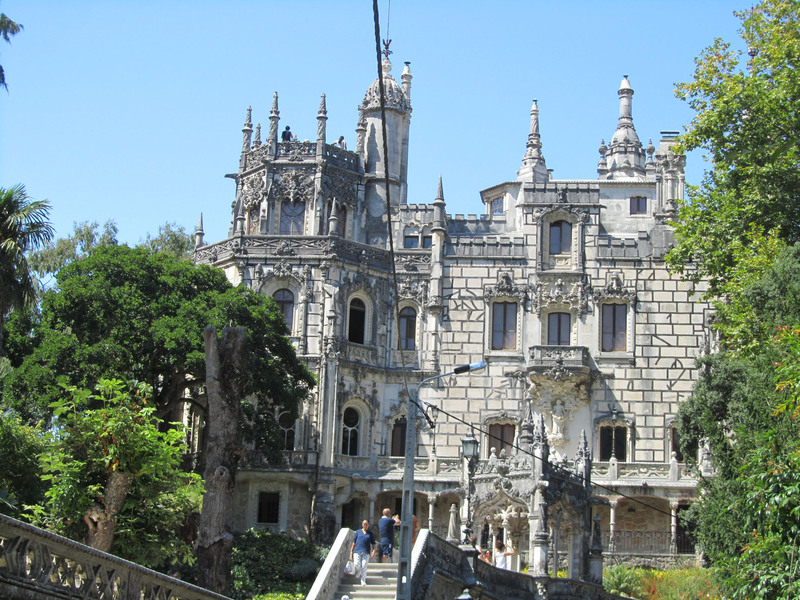 Visit the quaint town of Lamego, and climb from the city center up the magnificent stairs to the Cathedral. 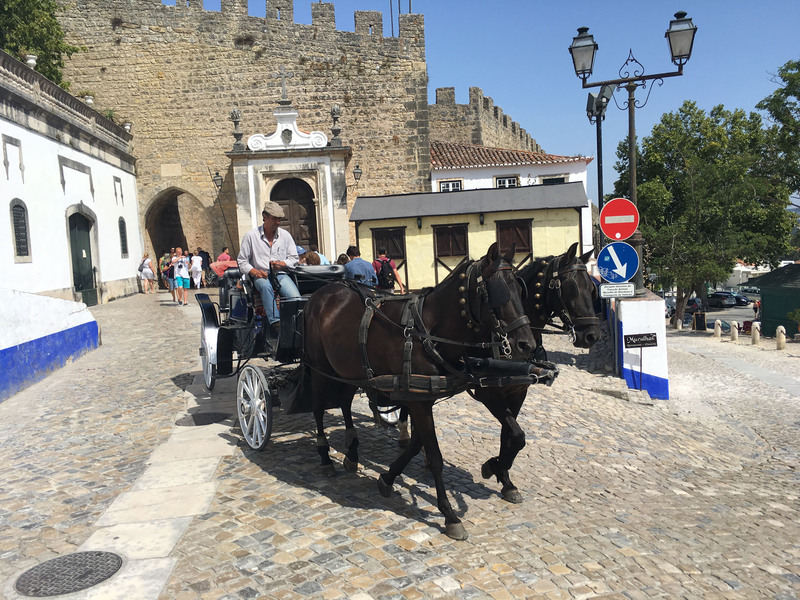 We arrived at Lamego during a grand Festival of saints. 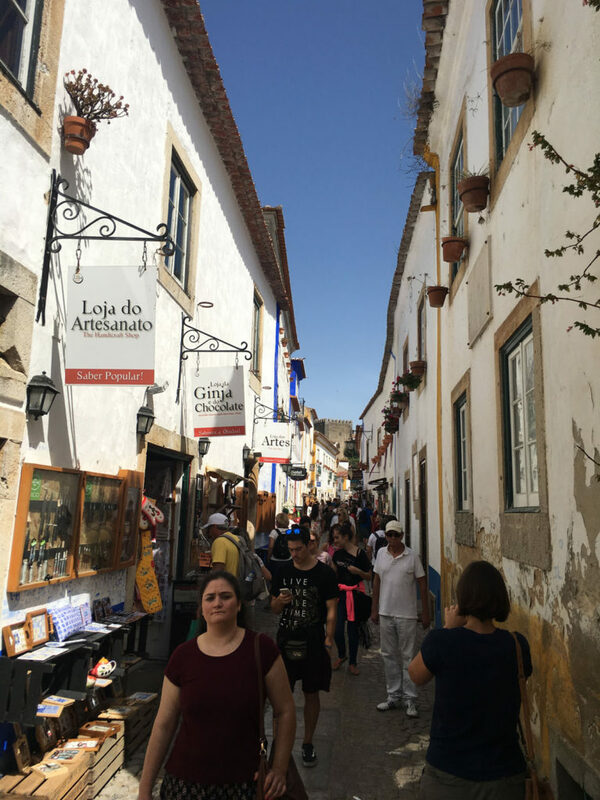 A city wide celebration of locals wearing colorful fedoras featured their delicious (cheap) artisan food, parades, music and much drinking. I think the ladies had been baking custards, meringues and cookies for days, in preparation of Lamego’s craft food market. 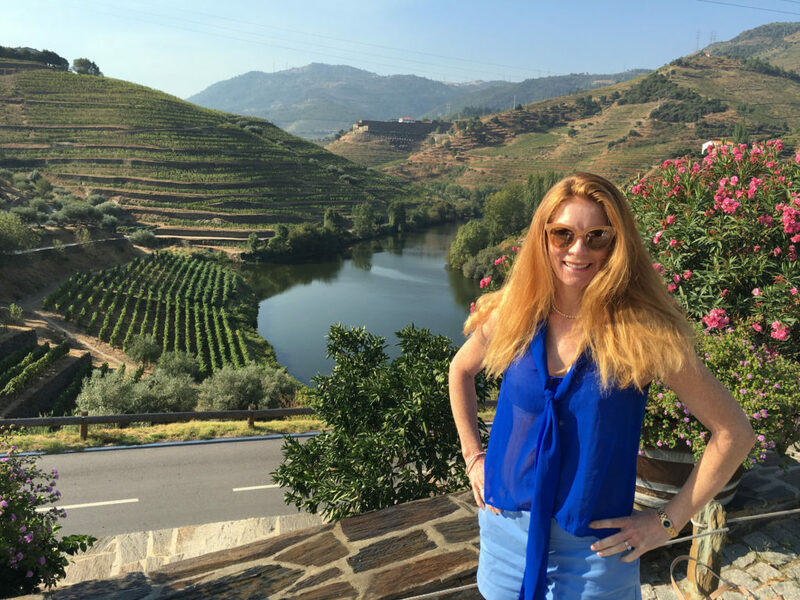 Crossing up the Douro, go for a tour and tasting at the beautiful Quinta Do Cotta, their Rosé is extraordinary. 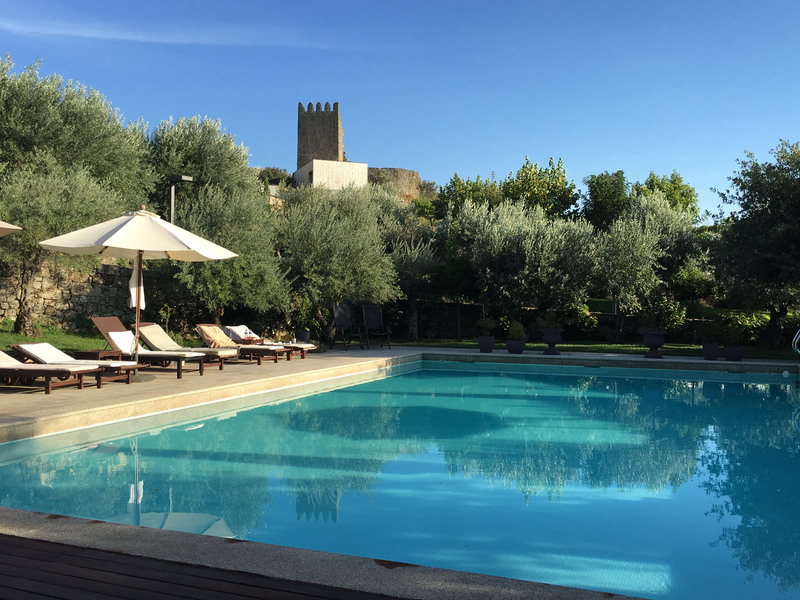 Casa Canilhas in Mesao Frio nearby is a gorgeous lodge to stay a day or two high above the Douro, with a fantastic pool overlooking the Douro River, delightful cottage rooms, and a great breakfast included. 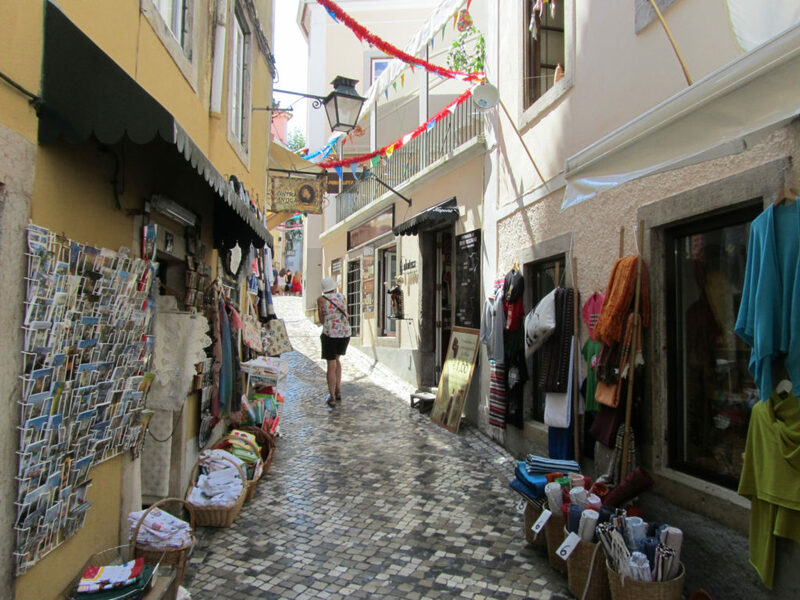 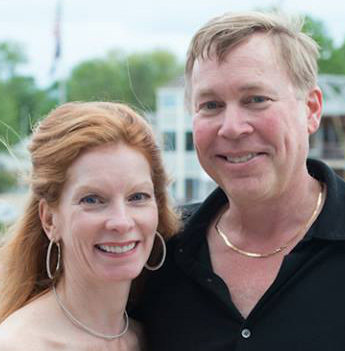 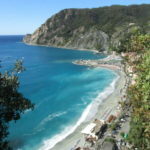 You can walk to town though the streets are narrow and winding – risky in the dark. 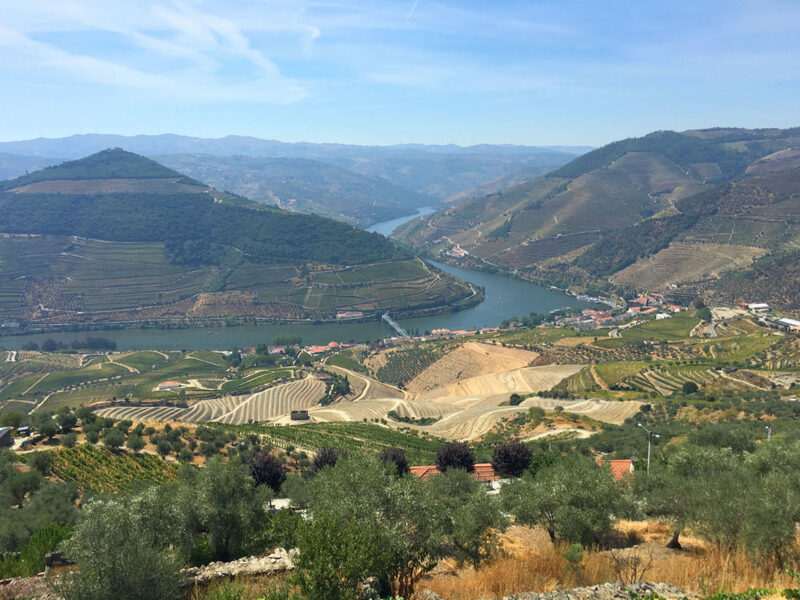 Quinta do Tedo, traveling up river, at the head of the Folgosa River, is a beautiful lodge on the south side of the Douro, with its own hotel, restaurant, tasting and tours. 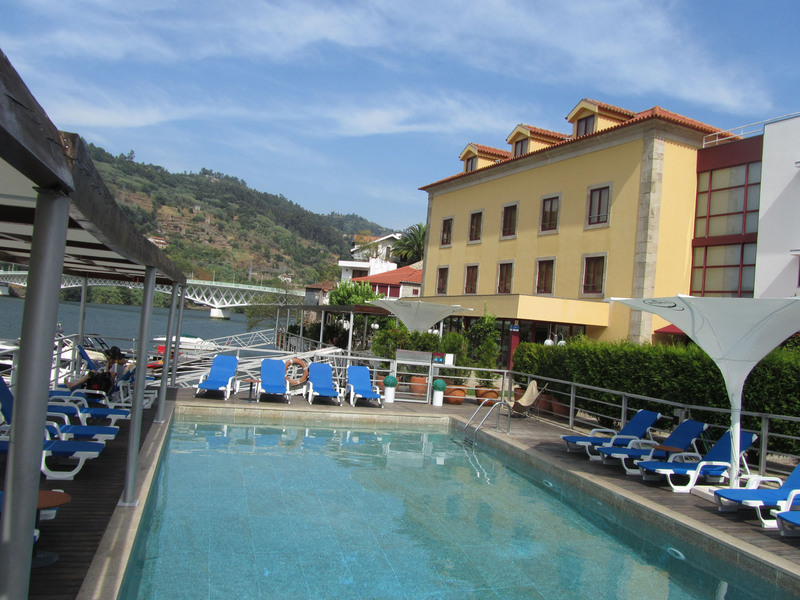 Quinta de la Rosa in Pinhao offers modern wine tours, and a hotel just outside the busy marina town. 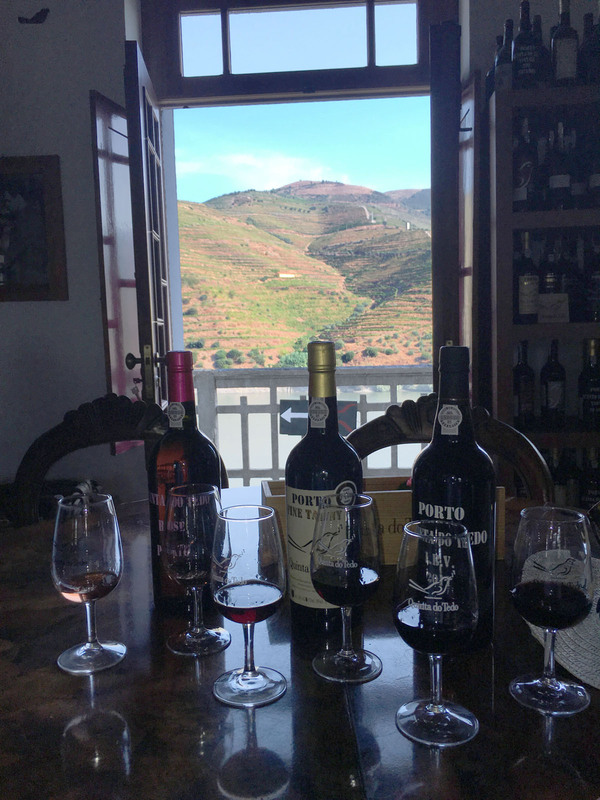 Quinta do Jalloto Wine and D’Origem are worth the steep twisty drive up to Casal de Loivos above Penhao. 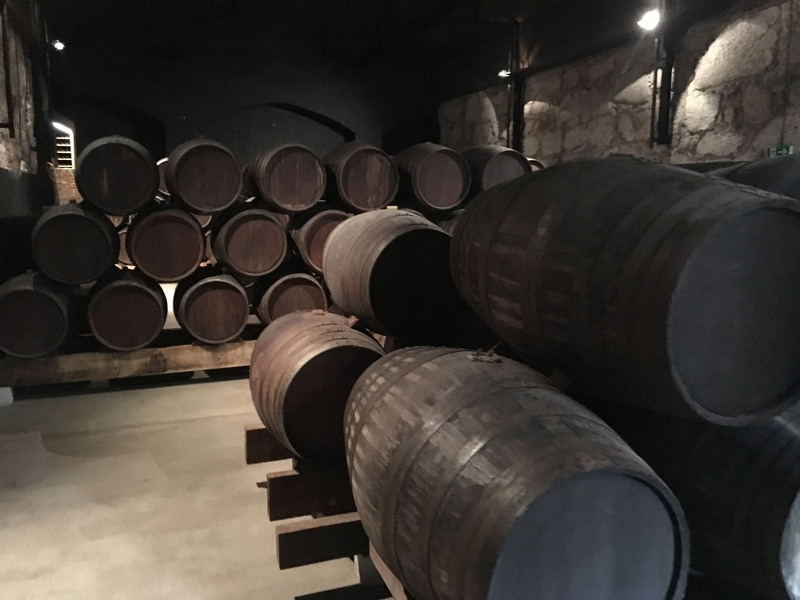 D’Origem offers an authentic olive oil press factory tour, followed by wine and olive oil tastings with Paulo and Sandra – in their cool lodge, the views of Douro are amazing. 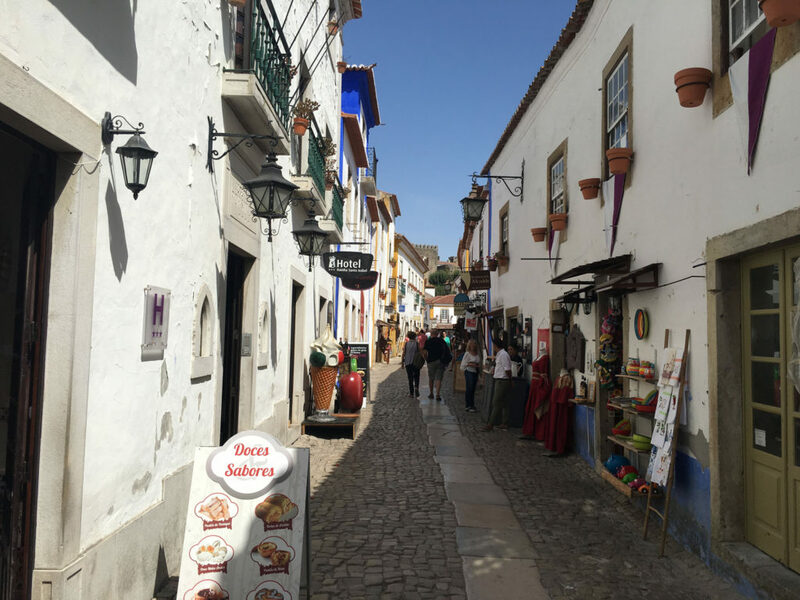 Back in Pinhao – the bustling little port city where Viking cruise boats dock, opt for a few hour boat ride on a traditional flat Rabelo. 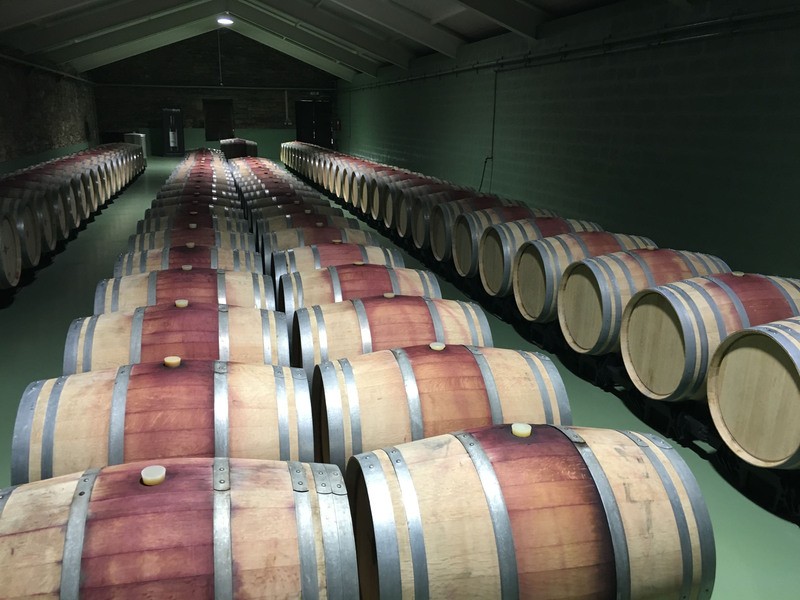 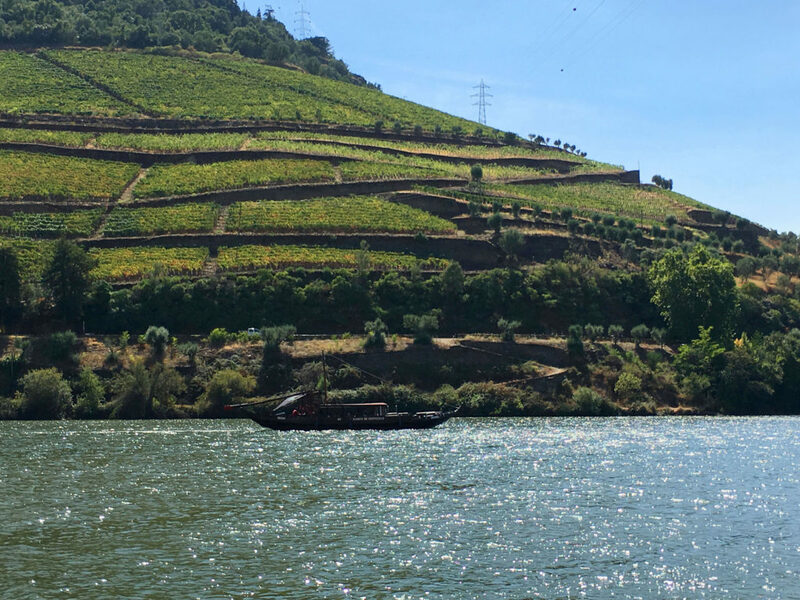 The best cruise is the Pipa Douro, a 90-minute cruise upstream, beyond where cars can go, to the Romaneira Estate, coasting back with port wine served as you pass impressive winery estates of Sandeman, Taylor, Croft. 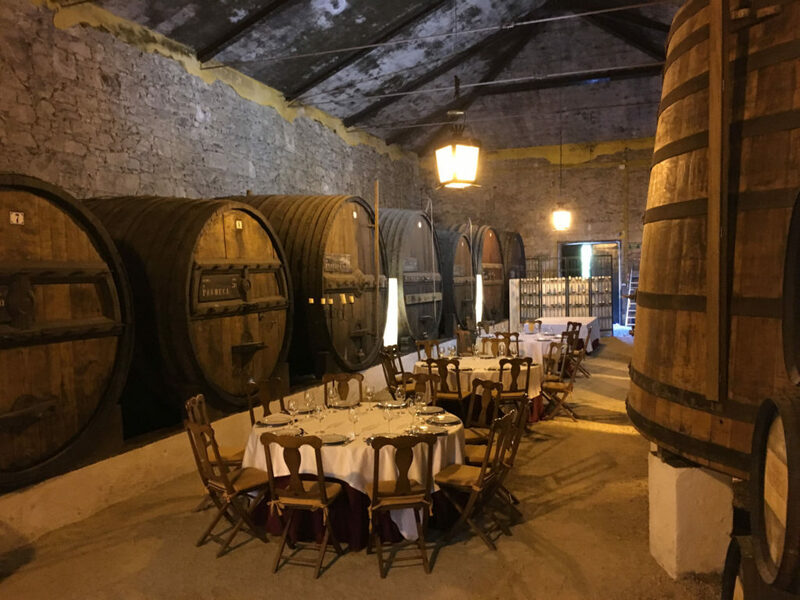 One final tasting at Quinta do Bomfim will fortify you before leaving Pinhão for the Portugese interior countryside, east toward the Spanish border, to explore the Schist Villages. 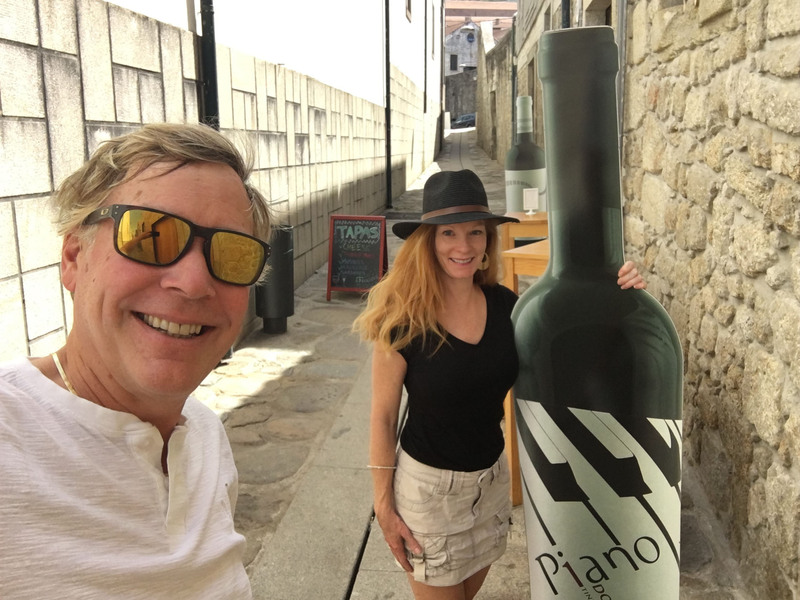 We love Portugal, for a luxury wine touring vacation, we highly recommend touring the Douro River valley from Porto to Pinhao. 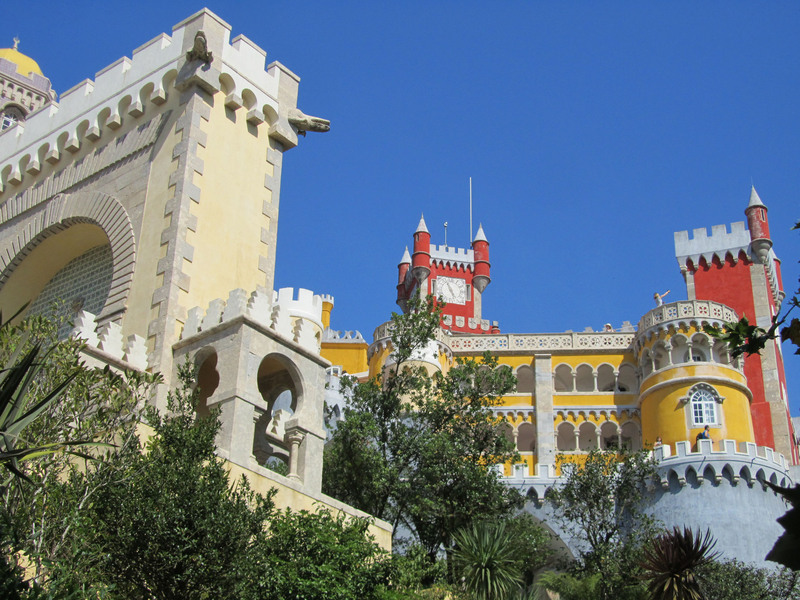 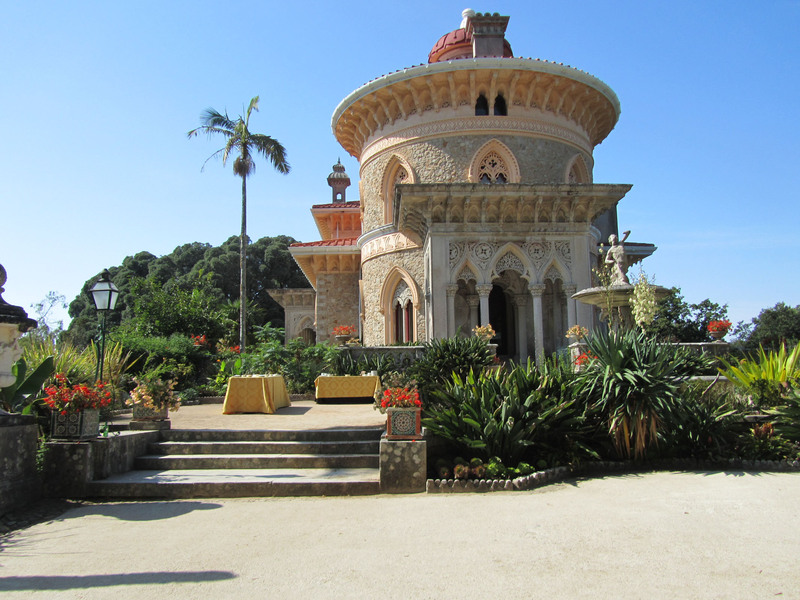 Be sure to visit Lisbon – Portugal’s capital city, and the Schist Village on the Spanish border, Evora and Sintra.